Still working on Big Bad’s stance, ribcage & spine. Really enjoying the facial expression, though. 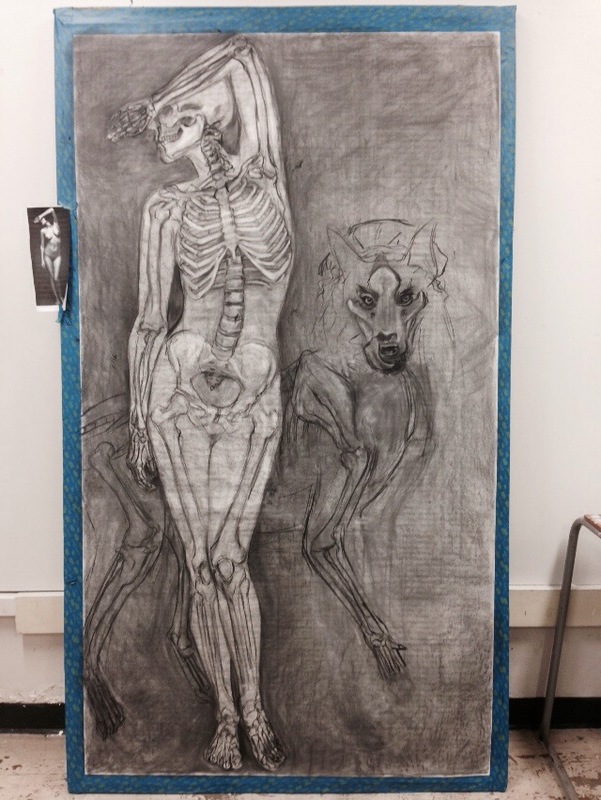 The ribcage and transition to the neck and skull of the wolf are proving difficult since the angle is 3/4 and slightly foreshortened, but I’m hoping to be able to keep the wolf’s facial features to emphasis licking its chops. 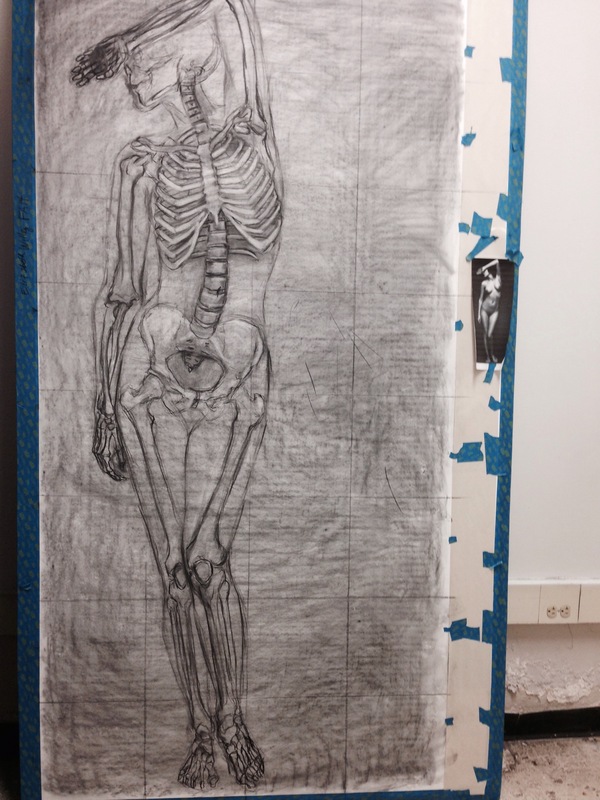 I’m still working on the upper hand, the cervical vertebrae, and the skull. 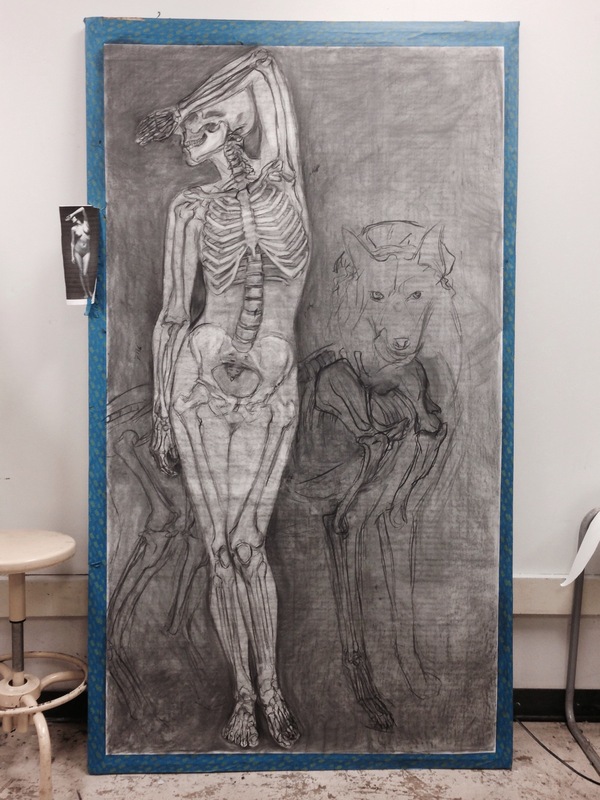 There is still yet a wolf to join Red Riding Hood in the picture and I will be solidifying the outlines of the bones much more. 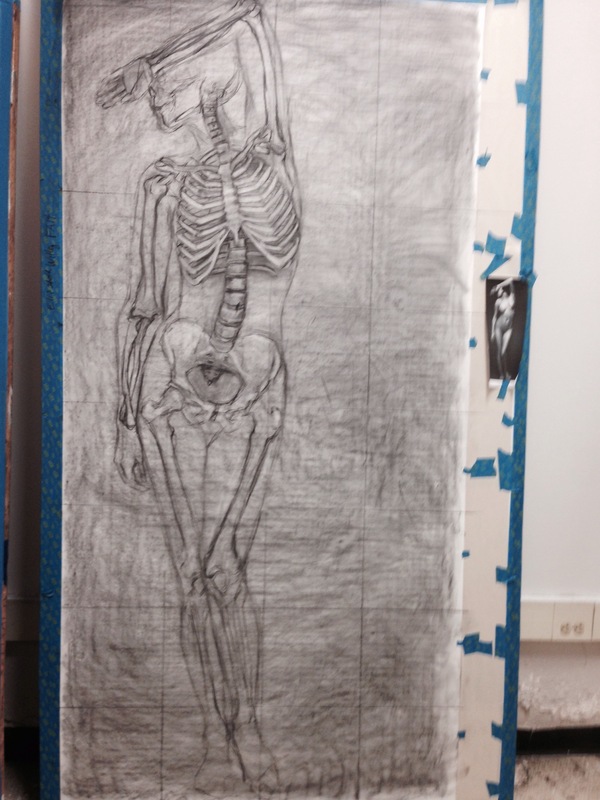 Once the bones are firmly in place, I will be laying muscles over some of the sections, but not all. I’ve moved from the rib cage onto the bones of the arm. 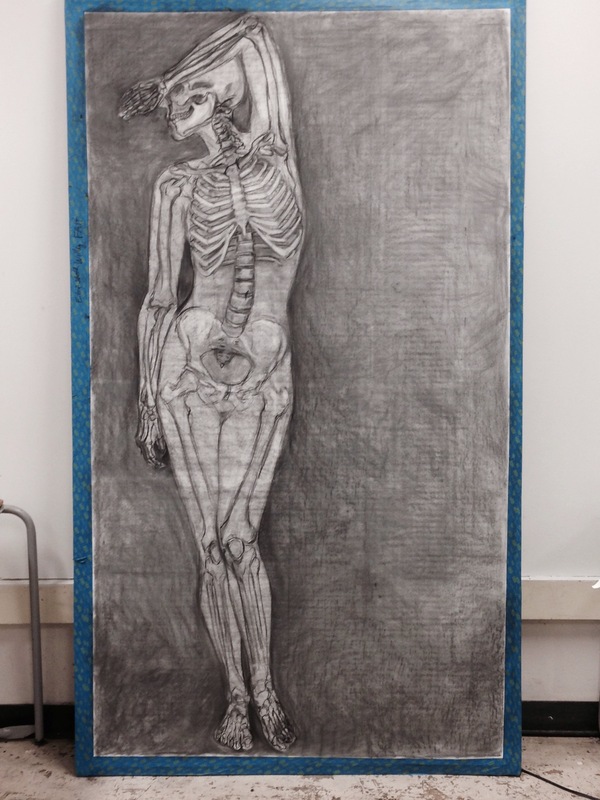 The cervical vertebrae and skull still need a lot of work, but I want to check in with the prof on the angle of the arms before moving forward. Will post other prior class and reference photos since the last post soon.